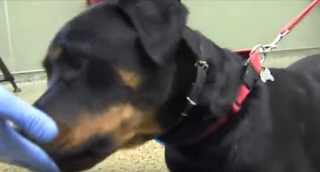 3D Mapping Helps Rottweiler Live after Terrible Car Crash. It's been a couple of months since this Rottweiler puppy named Ziiba was hit by a car. The accident left the puppy with extensive injuries, leaving her face and jaw fractured in four different places. Thanks to surgeons at the University of California and Davis’ Vet Hospital, and advances in a technology, what is known as 3D mapping, you wouldn’t even know that the dog had suffered the car crash.